A tusker has been found dead in Odisha’s Angul district, just 12 days after 7 pachyderms were electrocuted in Dhenkanal district. “The animal’s body was found in Deogarh division in the Khamar Range of Angul district. The body was discovered two days after death. 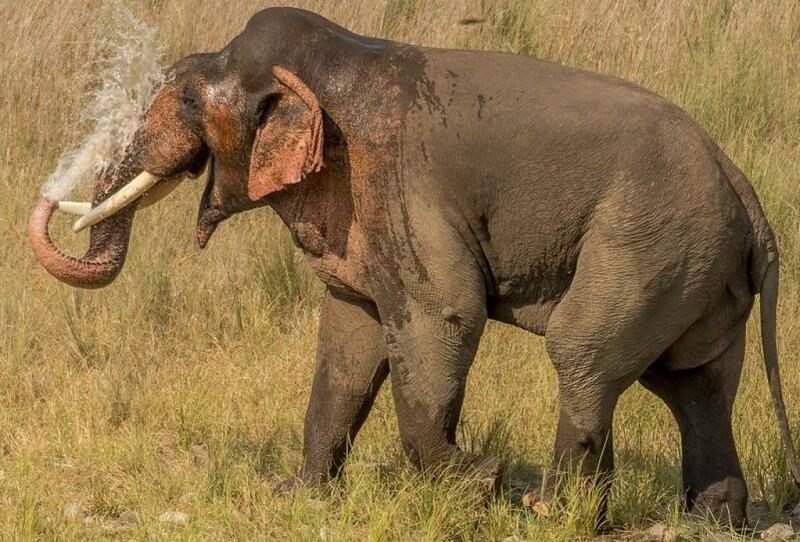 The tusks were missing,” Biswajit Mohanty, Secretary, Wildlife Society of Odisha told Down To Earth. “The area where the body was found is notorious for wire traps. We had informed the Forest Department that a mishap was likely to occur about a month ago. They had promised to look into it. The incident shows that they have not been patrolling properly,” says Mohanty. In late October, 7 elephants, part of a 13-strong herd, died after coming into contact with a hi-tension cable while crossing a railway track in Dhenkanal district. The incident led to widespread condemnation of the Odisha government. “There is currently an ongoing campaign to get the Odisha Minister of Forests, Bijayshree Routray removed. During his tenure, we have lost a lot of wildlife including elephants and tigers. Just today, a sloth bear was discovered caught in a trap in Balasore district. We have received at least 500 emails from all parts of the globe, calling for his removal as the wildlife of the state is going down the drain,” says Mohanty. After the incident at Dhenkanal, Down To Earth had analysed data which revealed that Odisha had lost 179 elephants since the year 2000 due to electrocution.